Nestled in a Beachfront Community with a Tropical, Homey Feel. In a prime location overlooking Playa Danta and the Pacific Ocean is Casa Indigo. 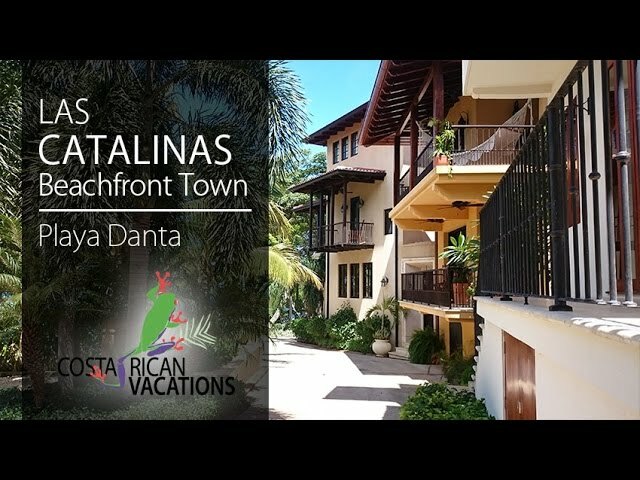 This three-full-bedroom home has stunning views of the water and fresh decor featuring tropical art pieces which will allow you to feel at home, while remaining connected to your surroundings. It also has a fourth, smaller studio room which provides privacy in a cozy environment. Casa Indigo comfortably accommodates eight guests, offering amenities like A/C and ceiling fans and a private en suite bathroom for each bedroom. The spacious master bedroom has a king bed, a walk-in closet, and a private terrace with ocean views. For guests who want more independence, the studio is ideal, as it has a separate entrance and a king bed in an intimate atmosphere. Common areas were designed for sharing. Covered sitting and dining areas provide ample space for a family or group meal. The rooftop terrace is covered, a unique feature in Las Catalinas, making this a great multi-purpose space that can be enjoyed at all hours of the day and night. It’s especially ideal for sunsets. The complimentary ¨House Mom¨ housekeeping service includes breakfast prepared daily with ingredients found at home or what the Concierge Team has purchased prior to arrival per previous request.